Fiona Sampson was born in London in 1968. After a brief career as a concert violinist, she studied at Oxford University, where she won the Newdigate Prize. She has a PhD in the philosophy of language from Nijmegen University. Her collections of poetry include Folding the Real (2001); The Distance Between Us (2005); and Common Prayer (2007), short-listed for the 2007 T. S. Eliot Prize. She was short-listed for the Forward Poetry Prize (Best Single Poem) in 2006. She has written and edited several books on the theory of creative writing, including The Self on the Page: Theory and Practive of Creative Writing in Self Development (1998); The Healing World (1999); Creative Writing in Health and Social Care (2004); and Writing: Self and Reflexivity (2005). Her book Writing Poetry was published in 2009. A selection of critical essays, On Listening, was published in 2007. Her books of translation include Evening Brings Everything Back by Jaan Kaplinski (2004). She was co-editor of A Fine Line (2004), an anthology of new poetry from Eastern and Central Europe, and founder-editor of Orient Express, a journal of contemporary writing from the EU enlargement countries (2002-05). From 1995-2000, she directed Aberystwyth International Poetry Festival. Seven of her own books are published in translation. Patuvacki Dnevnik (Macedonia) received the 2004 Zlaten Prsten prize. She is also known for her pioneering work involving creative writing and health care, and undertook long-term residencies in this field throughout the 1990s. She collaborates with visual artists on commissions: with printmaker Meg Campbell on the artists&apos; book Birth Chart (1993) and the exhibition My Grandmother, My Mother, Myself (1994); with stone-carver Alec Peever on public art work in Swindon (1993), High Wycombe (1995) and Slough (2008). The Memory Ship was commissioned by Ledbury Poetry Festival for a textile hanging in Ledbury Hospital (2002). She has also collaborated with Wanda Mihuleac and Jacques Rancourt on an artists&apos; book, Attitudes de priere (Transignum, Paris, 2008) and with the Coull Quartet (2008). From 2002-2005 she was the Arts and Humanities Research Council Research Fellow at Oxford Brookes University; for 2007-2008 she is Fellow in Creativity at the University of Warwick. Since 2005, she has been the editor of Poetry Review. She contriubtes regularly to radio and to a number of publications, including The Guardian, the Irish Times and The Liberal. 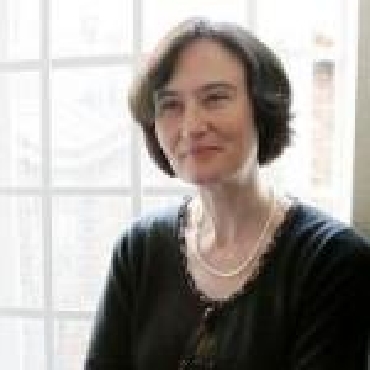 Fiona Sampson received a Cholmondeley Award in 2009. Her latest collection of poetry, Rough Music (2010) was shortlisted for the 2010 Forward Poetry Prize (Best Poetry Collection of the Year) and the 2010 T. S. Eliot Prize.